Proper nuclear used fuel strategies are crucial to the health, safety, and overall well-being of our communities. 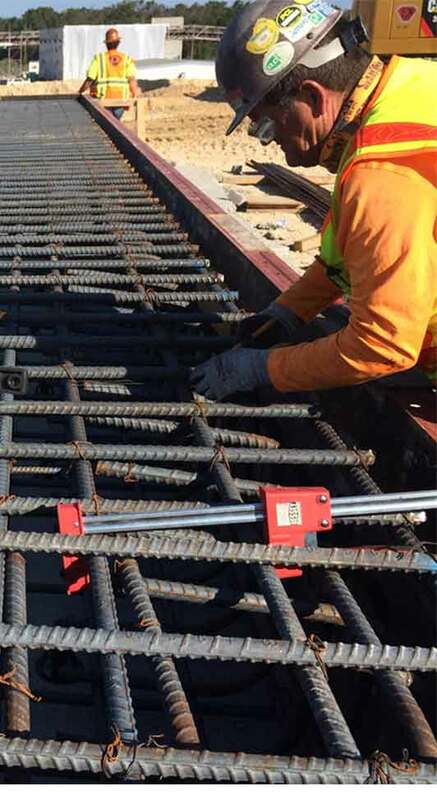 Independent Spent Fuel Storage Installation (ISFSI) construction demands an attention to detail and safety that we at Dickerson incorporate into every facet of our daily lives on and off the jobsite. Our ISFSI construction capabilities and experience have expanded along with our understanding of how we can best serve the nuclear industry. As such, Dickerson has positioned itself as a premier full service contractor focused on the energy sector and driven by safety, schedule, and a commitment to excellence. "Dickerson has completed 3 Independent Spent Fuel Storage Installations (ISFSIs) on schedule." In addition, Dickerson has completed over 300,000 man-hours of no lost time due to accidents or injuries while working on ISFSI and related projects for nuclear facilities. We constructed Florida’s first dry storage facility for spent nuclear fuel rods in a heavy stainless steel cask stored inside a robust reinforced concrete structure (HSM) on top of a concrete slab. Dickerson implements design configurations that enable ISFSI sites to simultaneously sustain the forces of a major hurricane and an earthquake. 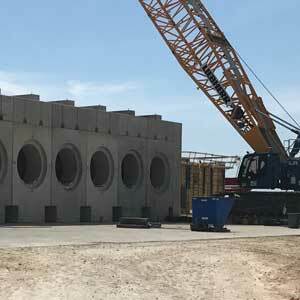 Construction of Florida’s first dry storage facility for the spent nuclear fuel rods in a heavy stainless steel cask stored inside a robust reinforced concrete structure (HSM) on top of a concrete slab. Excavation across sites up to 4.5 acres in size and to depths of approximately 35 feet. Installation of site wells drilled to depths of up to 50 feet in order to maintain dry excavation sites. Operation of dewatering systems that allowed Dickerson crews to safely excavate unsuitable materials consisting of soft clays layered with organic matter. In one instance, a total of 82,000 cubic yards of unsuitable materials were removed from a particular site by Dickerson. Implementation of design configurations that enabled ISFSI sites to simultaneously sustain the forces of a major hurricane and an earthquake. Construction of storm drain systems that have consisted of multiple catch basins, retention ponds and forebays. Placement of approximately 65,000 cubic yards of compactable fill across one project site. 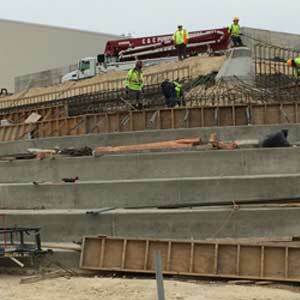 In order to maximize efficiency and safety, Dickerson set up an on-site crushing operation that used local materials as well as engineered and blended material specific to the site requirements. Construction of an ISFSI foundation slab constructed to “super flat finish specifications” and to a tolerance of 1/8” 10 feet in all directions. ents. Selection by major energy providers for critical projects due to our excellent track record with respect to quality, safety, and depth of resources.